Before Ai’s show, the UTA Artist Space, led by art lawyer and UTA Fine Arts head Josh Roth, will inaugurate its new location in July with an exhibition of pieces from 1940s and ‘50s Color Field painters. We’re all in favor of the last few years’ influx of free museums and galleries in Los Angeles. The latest: United Talent Agency’s UTA Artist Space will relocate from Boyle Heights to a small warehouse space in Beverly Hills. The biggest news, though: The 1940s-constructed concrete space will receive an overhaul from artist Ai Weiwei. 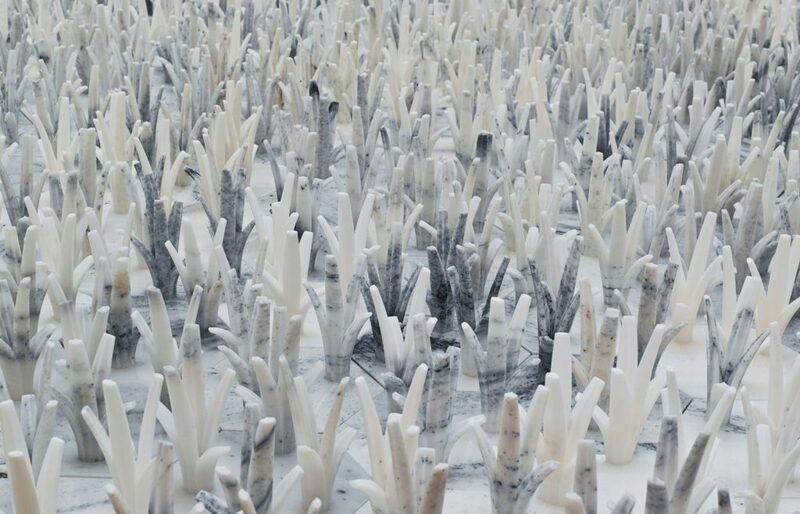 In addition to the acclaimed Chinese artist’s architectural alterations, the gallery will host a solo show of his marble grass-like works starting on October 4. Cao, a 2014 installation, featured 727 such pieces fitted together on the floor. It won’t be Ai’s only exhibition in L.A. this fall. On top of the UTA show, he’ll also take over former MOCA curator Jeffrey Deitch’s upcoming Hollywood gallery (opening Sept 29) as well as the Marciano Art Foundation’s massive first floor space (Sept 28). According to the New York Times, the former will feature an assortment of accumulations and portraits, while the latter will display three large-scale works. Before Ai’s show, the UTA Artist Space, led by art lawyer and UTA Fine Arts head Josh Roth, will inaugurate its new location in July with an exhibition of pieces from 1940s and ‘50s Color Field painters. “One Shot” will feature works from Morris Louis, Helen Frankenthaler, Kenneth Noland, Sam Gilliam and Jules Olitski. It’ll mark the first exhibition in the gallery’s new Beverly Hills home, located only a few blocks from the UTA headquarters—perhaps a more comfortable fit for the big-ticket gallery than the tense, anti-gentrification environment of its current Boyle Heights site. The UTA Artist Space will be located at 403 Foothill Road in Beverly Hills, open Tuesday through Saturday from 10am to 6pm.